S. T. Douglas Transport Ltd is a specialist contract haulier where our vehicles are dedicated exclusively to our customers’ needs. Whether delivering with a shipping container, refrigerated trailer or curtain-side trailer, our drivers have the experience to meet your requirements. 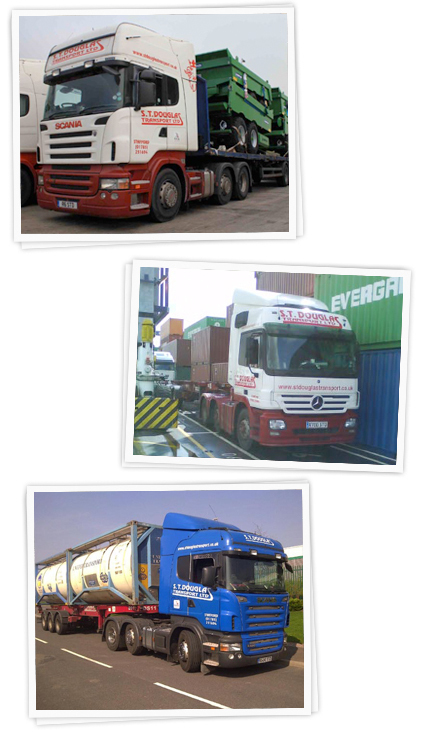 Our drivers have experience of all major UK ports and container storage sites. We aim to reduce our carbon footprint and our impact on the environment. All vehicles are fitted with 24 hour tracking systems to enable us to see where each vehicle is at any given time.